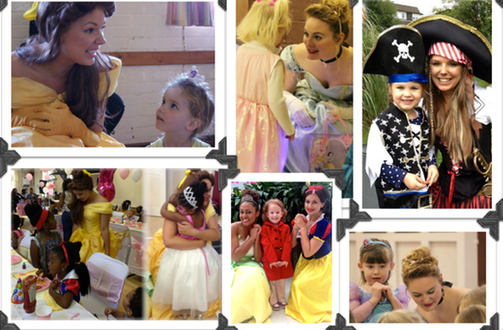 Whether they love princesses or pirates, party entertainers Bolinja can give you child the perfect party. Do you have a little girl that would love a princess to host her birthday party, or a child who would love a real pirate to entertain them and their friends on their big day? Local party entertainers�Bolinja�can offer all this and more. Whether it’s your first time hosting your child’s birthday party for their school friends at your local hall, lots of children at a family event/special occasion, or perhaps just an intimate little party with their close friends at home,�Bolinja�can provide that memorable experience all hosted by someone very special! "We’ve developed fantastic client bases across the South of England including; Surrey, Kent, Sussex and Greater London," explains�Bolinja�Managing Director Hope Chauland. "Although we specialise in Princess entertainment we are a company striving to develop steadily. Thanks to our great reputation and high demand we’re investing into other areas of party services, all at popular request from our loyal customers!" Parties are often stressful for parents. There's the pressure to make your child's big day special and also all the practicalities of organising, hosting, entertaining and catering for big groups of children/adults. Enjoying the event and your child's big day often gets lost in all the work. "We know that there is a lot of pressure and preparation necessary that as a parent actually leaves you very little time to enjoy the birthday girl or boy themselves," says Hope. "Then as a guest parent or friend you don’t often have the chance to catch up with the other parents because the children aren’t actively engaged and tend to wander back to you for your attention. We aim to take care of the children and entertainment for you so you and your guests can relax and enjoy the event." Most children’s entertainers do more performing than playing with the children as this is the long-standing tradition of children’s entertainment. Popular entertainers like clowns, puppet shows, magicians traditionally perform while the children sit in large groups with the odd nomination to get up and participate.�Bolinja�is different because their�princesses, fairies and pirates are also happy to run around with the children and wear them out. Princesses will engage in enchanting adventures with the little girls and ask the little super heros to show them how fast they can run in the active games, all within a safe and controlled environment. Mischievous pirates put on their show and give out treasure, delightful fairies and beautiful smiley princesses host story times all with high energy-burning participation throughout. If this sounds like your child's - and your - perfect party, why not give Hope a call to see how�Bolinja�can make your child's birthday extra special?